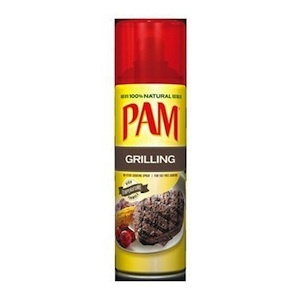 On Checkout 51’s list this week (Aug 22-28, 2013) is PAM Grilling, valid on PAM Grilling 141g. For those who live for the thrill of the grill, PAM Grilling is the secret to grilling success that has everyone all fired up. Specially formulated for no-stick performance at higher temperatures, this grill spray makes cleanup a snap and all your grilled foods simply turn out better. You will get $2.00 cashback rebate at Checkout 51. Here’s a pic of what it looks like. I found a couple prices of it at a few stores. I didn’t find any PAM coupons to use. Checkout51 offer expires midnight Wednesday Aug 28, 2013. You must purchase in Canada and upload your receipt between Thurs Aug 22-28, 2013 to qualify for the cash back rebate. Check out here for more Checkout 51 cash rebates for this week.